The leader of the Indigenous People of Biafra, IPOB, Nnamdi Kanu, has revealed when he will collapse Nigeria with the hidden truth about the alleged death and replacement of President Muhammadu Buhari with Jubril Al Sudani. The IPOB leader said Thursday will be the end of Jubril of Sudan. 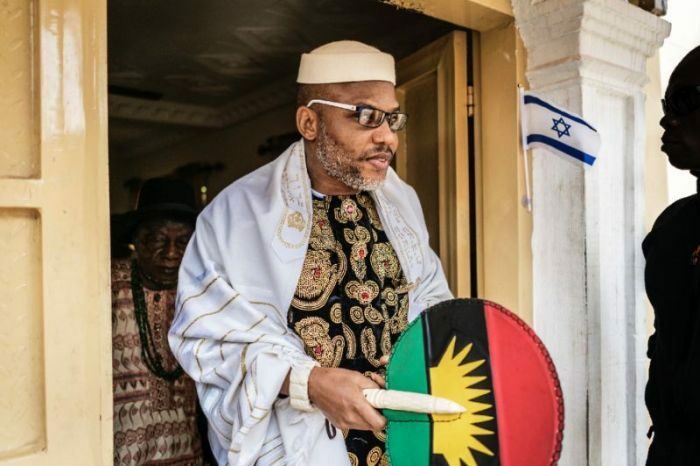 Nnamdi Kanu said he had discontinued his earlier plan to exposed the Jubril of Sudan at Aso Rock in a live video from Israel because of the high cost involved. He also claimed that he did not go on because the intended beneficiaries of the demise of the said Jubril wanted to take advantage of IPOB doing all the work for them. Kanu stated this in a live radio broadcast from London last night obtained by us where he also vowed to destroy what is left of Jubril on Thursday in a live presentation.